For most of us, there’s no shortage of wonder as to how far (and how quickly) technology has advanced since our own childhoods. Today, there isn’t an element of a child or teen’s life that isn’t impacted by a computer. At school and at play, technology and media dominate. Over the past few years, the way we live day to day has been fundamentally changed by access to and reliance upon electronic media and devices. Those changes are especially pronounced when considered through the lens of our role as parents. Just think how differently we now entertain little ones on planes, during long car rides, or in the doctor’s office. By the time children reach middle school, most students carry their own device back and forth to school. Calls out the kitchen door to come home for dinner have been replaced by texts about location and arrival time. We are more frequently connected through our devices, but at the same time we risk becoming more socially isolated because of the reduction of other meaningful interactions. Gone, for many, are the days of everyone agreeing on a television show. Each family member can just settle into her own chair and have her own show on her own screen. Family time? Not really. In addition to the concerns about social connectedness, these changes bring other, more discrete challenges for most parents. Some worry about keeping up with the costs and pressures of having the newest device; others are frustrated trying to gain their kids’ attention over a screen. Some have had children in crisis Over cyber-bullying or sexting. For others, school tragedies, such as the Newtown shooting, leave parents wondering what role exposure to violent media might have played and how they can protect their own children. Because the change has been so comprehensive and affects children and families, exploring these questions and Concerns seems especially pressing. As a physician and a parent, it is helpful to boil these concerns down to their elements. First, how is our main responsibility as parents – the responsibility of creating capable, independent, and kind children – affected by technology and media? Second, how does the increased role of media and technology affect the way our children inherently develop? Our voice as parents is an important one. Our values, our standards, and, possibly most importantly, our example, do Influence our children. Discussing your concerns with your children, coming to family agreements that both adults and children follow, and being a conscientious consumer of media by talking with your family about what you see, hear, watch and play, in real time, puts control back in your hands. We are still learning how technology affects children. It is true that there are excellent educational and pro-social uses of media and technology. We should not be afraid to use them. However, we have seen increasing physical and mental health concerns arise with the encroachment of technology as well. Children, especially those with Internet-connected devices in the bedroom, are getting less sleep, have poorer grades, and are more likely to engage in risky behaviors, such as substance abuse, than children who do not have similar devices in their bedrooms. In kids, being overweight has been associated with spending more than two hours a day engaged in non-school related screen time. And, although studies have not shown that violence on the scale of Newtown or Columbine were caused by exposure to violent media or its use, research has clearly drawn links between excessive media use and aggression and other behavioral concerns and problems. Last October, the American Academy of Pediatrics (AAP) released a guideline on media for parents and pediatricians both. Just as they do for car seats and vaccines, experts are recommending Steps that we as a community can take for the health of our children, as it relates to media. They have given tasks to parents and to pediatricians, asking us to bring the conversation to the forefront of well-child visits and behavioral health visits. I welcome this conversation with my patients and hope other pediatricians do as well. Just as I have seen the change in the world around me as a parent, I have seen a change in the way parents and children interact with screens in the waiting room and in my office as a physician. I’ve witnessed countless arguments about turning off the phone between embarrassed parents and screen-enamored kids. I’ve discouraged parents from using the phone as a distraction when their children are having a simple exam. I’ve listened to anxious and overwhelmed young patients who can’t seem to fathom that playing Call of Duty or Halo all weekend may not be best for them, and shocked parents who have found worrisome photos and texts on their teen’s phone. Just as the AAP is advocating, I believe that these conversations should, in fact, take place in the pediatrician’s office. As a parenting issue and now a proven health issue, it is one that we can work on together! 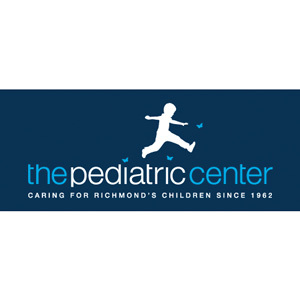 It’s a topic I am so committed to, that I’m working with Commonwealth Parenting, the Children’s Museum of Richmond, and Common Sense Media, an independent, nonprofit, online resource for parents, to develop tools for parents and pediatricians to discuss this topic more easily. As with many children’s health issues, identifying the need is the first step. Stay tuned. Previous articleSpring greetings, RFM readers! 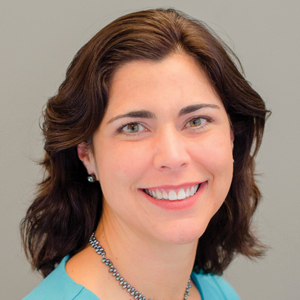 Liv Gorla Schneider, MD, is a pediatrician, wife, and mother of three young children. A frequent contributor to RFM, she lives in Richmond with her family and sees patients at The Pediatric Center in Richmond.